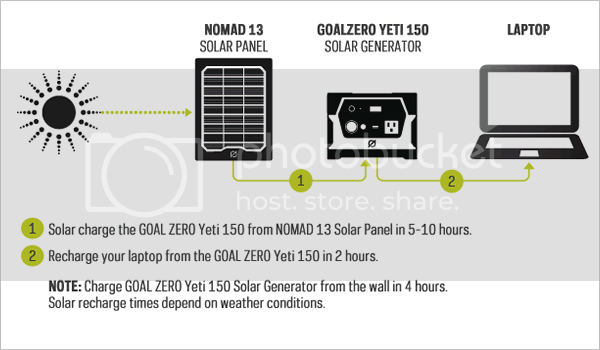 Goal Zero showcased it’s new plug-and-play Yeti 150 Solar Generator at CES this year, a lightweight option for portable power while camping or a backup power source in emergency situations. 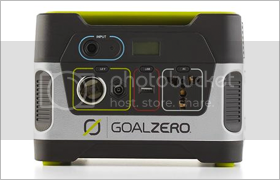 Goal Zero made waves the previous year when it introduced the 150’s cousin – the 1250 – which was designed to power crucial appliances like refrigerators, freezers and home health care equipment. They also came up big when hurricane Sandy hit initiating a ‘You Buy One, We Give One’ to benefit those affected by Hurricane Sandy, which ended up generating $594,670 for portable solar power products. With the Yeti 150 you can power up a variety of electronic equipment, such as lights, smartphones, and laptops via its built-in AC, 12V and USB ports. It has a 150 watt-hour battery, which you can recharge via the wall, car or sun. For solar, it needs 15 hours in the sun to recharge fully, or about 4 hours from the wall. It’s designed to give you some security knowing that they are prepared if the power goes out as well as being a portable power source. It will be available in the spring and will be priced at $399.95 USD.